Cuba tackled at the United Nations the need and importance of designing the relevant strategies in the treatment of information, which guarantee its preservation, access and sustainable management, as evidence of the organization's work processes. 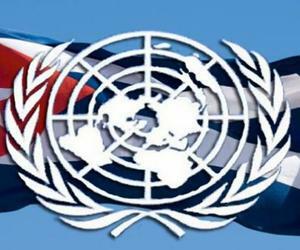 Cuba's Permanent Representative to the United Nations, Ambassador Anayansi Rodríguez Camejo, said that the defense of multilingualism and parity in the treatment of the six official languages of the United Nations is a design and implementation of UN dissemination and information actions. In addition, she regretted that millions of people are still excluded from the vast resources available on the Internet and that, consequently, unequal access to these technologies increases the digital divide between the countries of the North and the South, adding to the already existing lack of equity and social justice. For this reason, she considered that actions should be implemented that allow a more social appropriation of information technologies, not only aimed at reducing technological gaps, but also at reducing social gaps. Rodríguez also highlighted the central role of the United Nations in this regard, through the promotion of objective, real and impartial news and the promotion of the use of traditional media, especially radio, among the poor and illiterate other forms of information. Finally, the diplomat reiterated Cuba's strong rejection of the use of ICTs in violation of international law, and condemned the permanent radio and television aggression of the United States against the Island; this contravenes the purposes and principles of the Charter of the United Nations and various provisions of the International Telecommunication Union.